The sample applications give you a more in-depth and thorough example of how the Extreme Optimization Numerical Libraries for .NET may be used in real-life applications. Discrete Distribution Explorer illustrates discrete probability distributions. 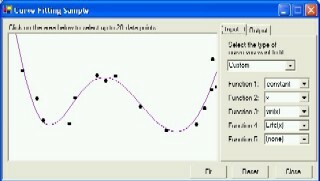 Continuous Distribution Explorer illustrates continuous probability distributions. Fractal Viewer. 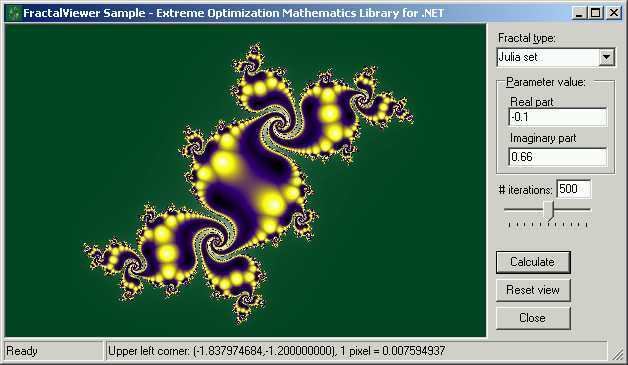 This sample creates mathematical art based on complex number arithmetic. M#: The .NET Language for Technical Computing. An interactive environment for linear algebra computations. 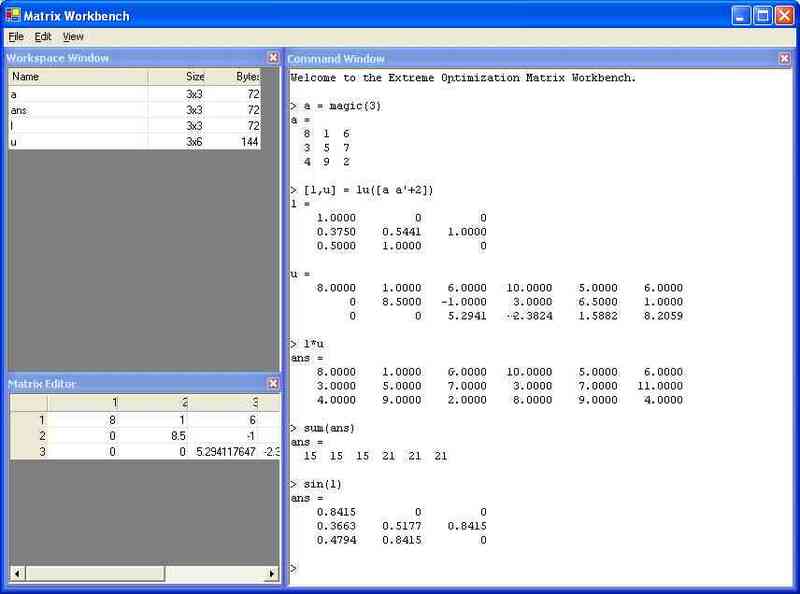 Implements a subset of the Matlab® language. Curve Fitting. With only a few lines of code, you can fit data points to a set of arbitrary functions. This sample shows you how. Regress. This sample shows how to build linear regression models.